18 months ago ManWinWin Software launched a WEB platform and an exclusive team 100% focused on technical and post-sale support. Today, this initiative has become a collaborative tool with one goal: Customer Success. The platform has already dozens of registered clients from around the world and the Support team has helped in thousands of occasions since its launch. Users request to purchase 100% customized reports for specific requirements. To analyze all development suggestions sent by clients and, in most cases, develop them into the standard software – which are then made available in future software updates, free of charge for all customers with an annual fee of S&AT. The results have exceeded expectations: the WEB platform now attends a significant number of records per day, and it has quickly become a crucial working tool where clients ‘speak’ and ManWinWin Software listens, reinforcing ManWinWin Software’s Technical Support as one of the most important and valuable features of the company, as well as an effective compliance with ISO 9001:2008 demands in customer service. 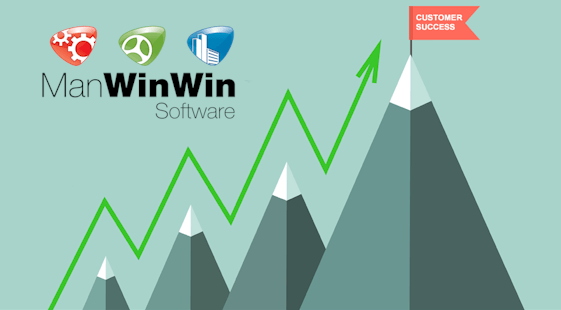 ManWinWin software believes the future lies in listening to its customers and creating a collaborative product that can guarantee what today is considered the most critical business goal: Customer Success.